It’s officially summer! I wanted to show you guys one of my latest obsessions. I often get salads to-go during this season. Let’s be real, in this type of humidity, cooking is the last thing a lot of us want to be doing. A fun way I’ve been enjoying my salads or any leftover veggies has been wrapping them in nori. Nori (seaweed) has a ton of trace minerals and great properties- especially for skin and beauty health. Seaweed is more nutrient dense than any other land vegetable. It’s an excellent source of folate, calcium, magnesium, zinc, iron, and selenium, and iodine. Seaweed also contains preformed omega-3 fatty acids DHA and EPA, thus being a reliable source of omega-3 for non-meat eaters. And to top it all off, seaweed also contains a great amount of antioxidants, helping protect oxidative stress and chronic diseases. No recipe here, let your creativity take over. 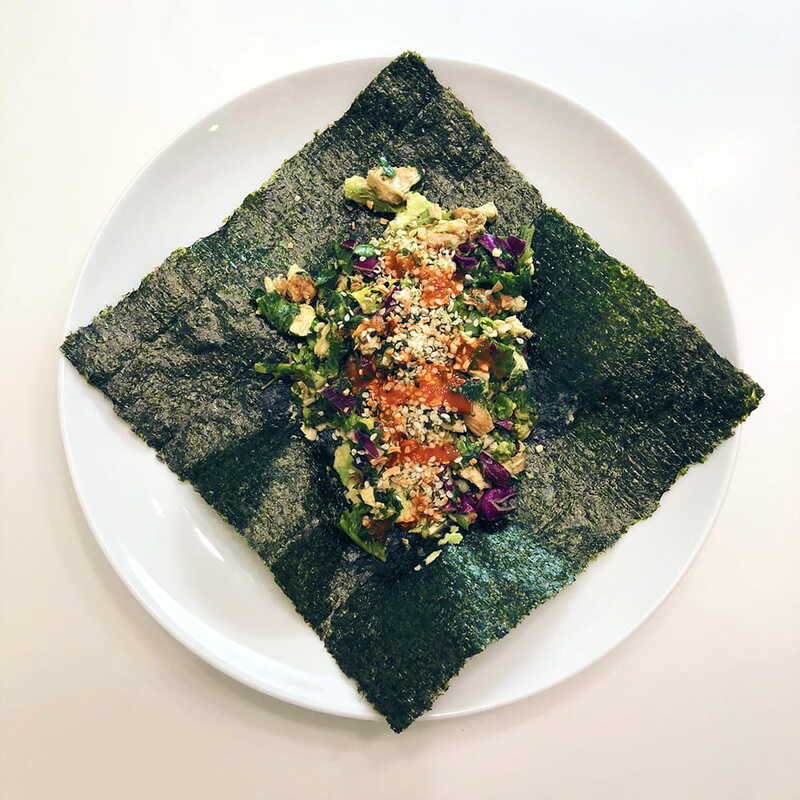 I simply took one sheet of nori, spread some avocado in the middle, placed some salad on top, and added some hemp and chia seeds, pink salt, black pepper and a touch of hot sauce. Wrapped it up (like a burrito) and ate it! It took five minutes to prepare and one minute to eat it- all while getting in some great nutritionally dense calories. Enjoy!